I'm loving the bright colors for Spring. 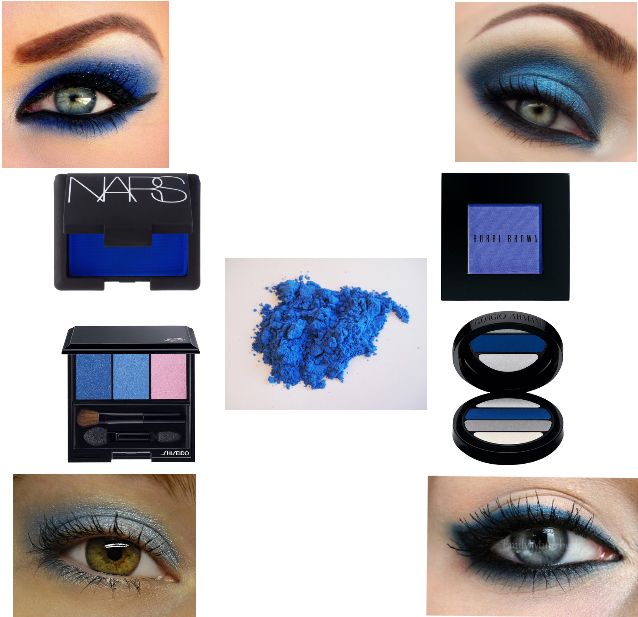 Electric Blue eyeshadows and liners are one of Spring 2013's hottest colors. And are one of my favorites. They are universally flattering on any skin tone. I say if you're going to wear it...OWN it! Really pack on the color to get the most beautiful shades. Finish with black eyeliner and a neutral lip tone. Blue shadows were seen all over the runways for Spring 2013. Shows such as Alice + Olivia, Kate Spade, Monique Lhuillier, Anna Sui, Jenny Packham and Josie Natori to name a few. Thank you for stopping by and reading my post! What are your favorite shades of eyeshadow? Ahh well! LOL Well I am a new follower around here and just wanted to invite you to link up this (and any other beauty posts you might have) to my new beauty linky party "Makeup Monday"! I absolutely love this look!! Awesome job!! Found you on Makeup Monday and I'm your newest follower! !